Appalachian Mountain Club, 9781934028148, 310pp. 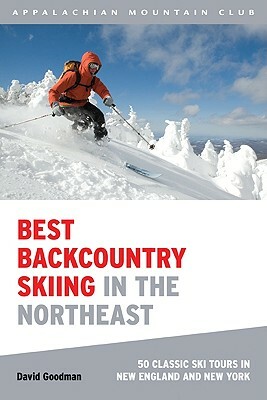 From the author of the Bible of Eastern Backcountry Skiing comes the most up-to-date resource for exploring the backcountry ski trails of the Northeast. This book features 50 trips through New Hampshire, Vermont, Maine, New York, and Massachusetts, including extensive coverage of Tuckerman Ravine, the Catamount Trail, Jackrabbit Trail, the historic Thunderbolt Ski Trail, as well as backcountry huts and lodge-to-lodge skiing in Maine's 100-Mile Wilderness. You ll learn how to prepare for your adventure with helpful references on when to go, what to bring, and must-have backcountry safety skills. Each trip is complete with a description, distance, elevation, topographic map, difficulty rating, directions, and other tools to help plan your adventure. Whether you re a seasoned Nordic or telemark skier looking for a new challenge, or a resort skier ready to take on the backcountry, this book will help you expertly navigate the Northeast in winter.